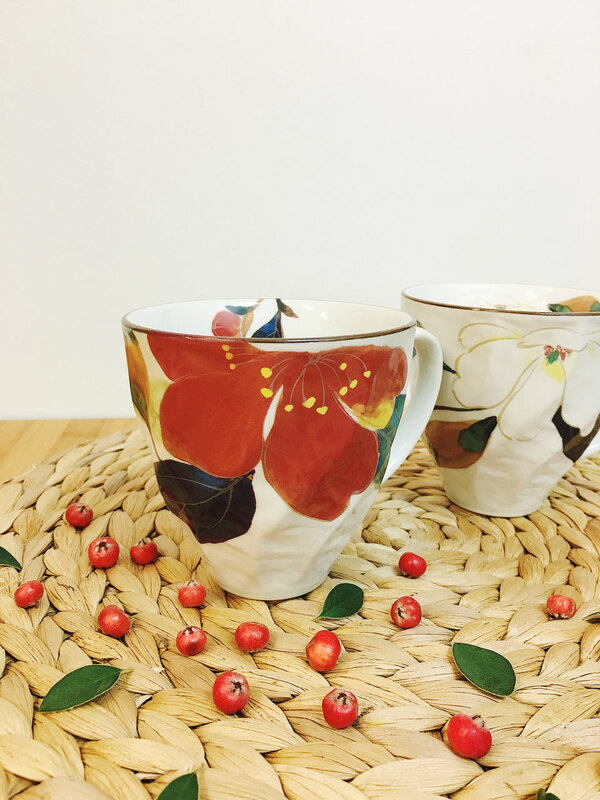 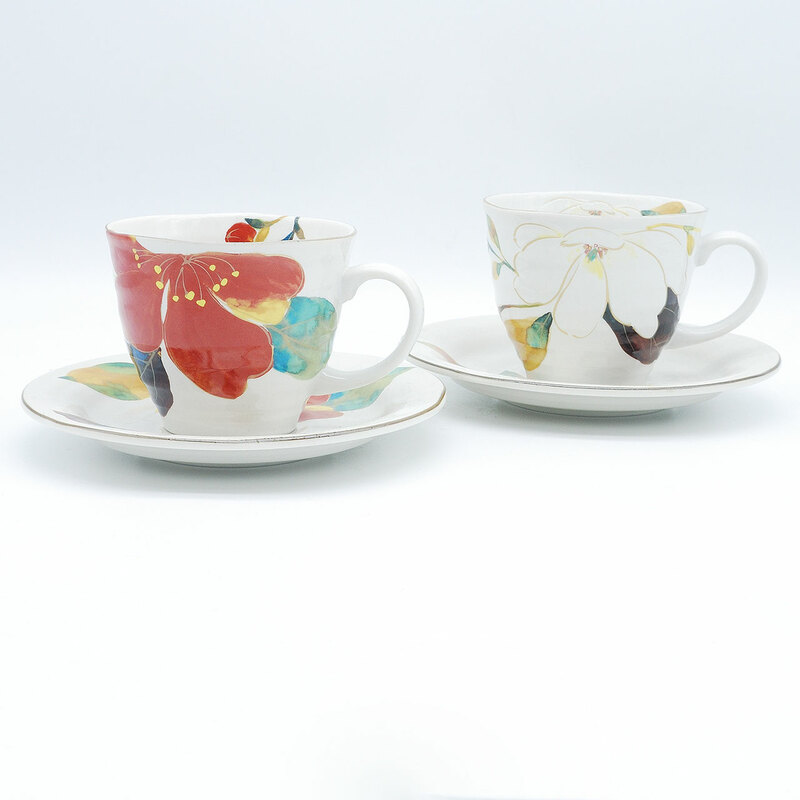 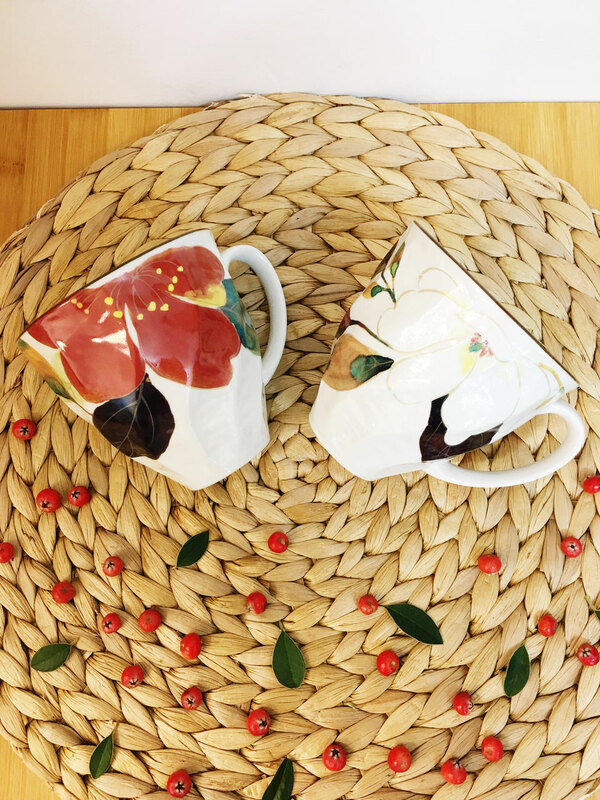 Set of two cups with saucers, made with off-white clay with a smooth finish and beautiful flower print. 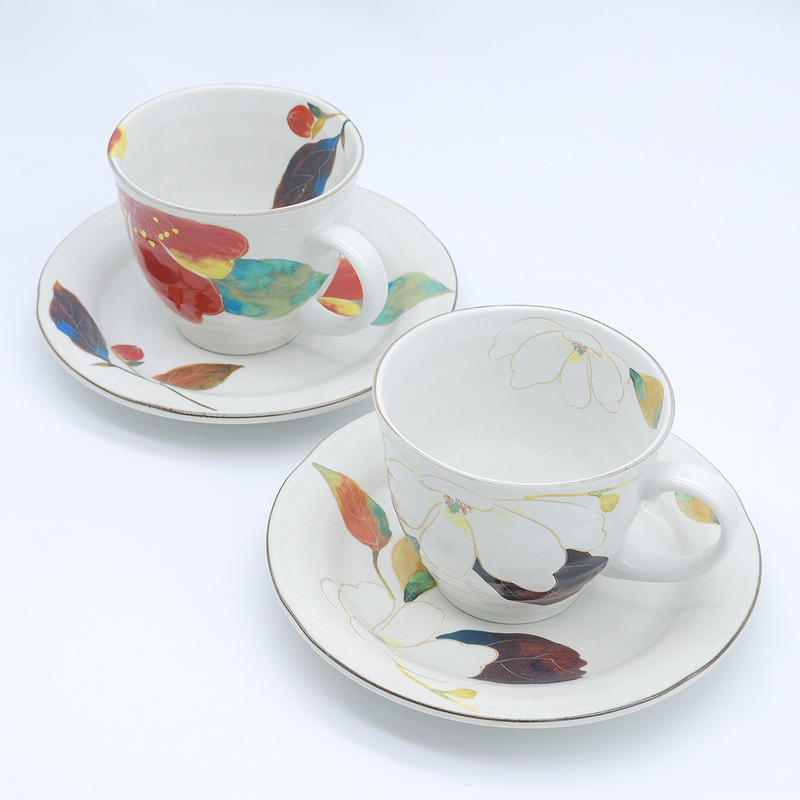 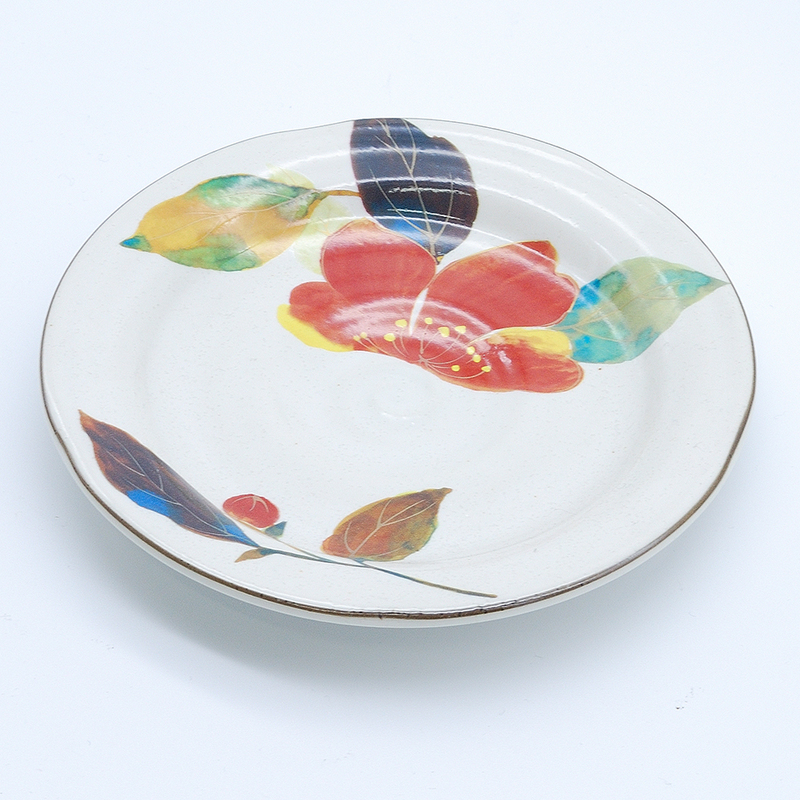 Cups and saucers have irregular edges which gives them a beautifully organic style. Available in red sasanqua and white magnolia. 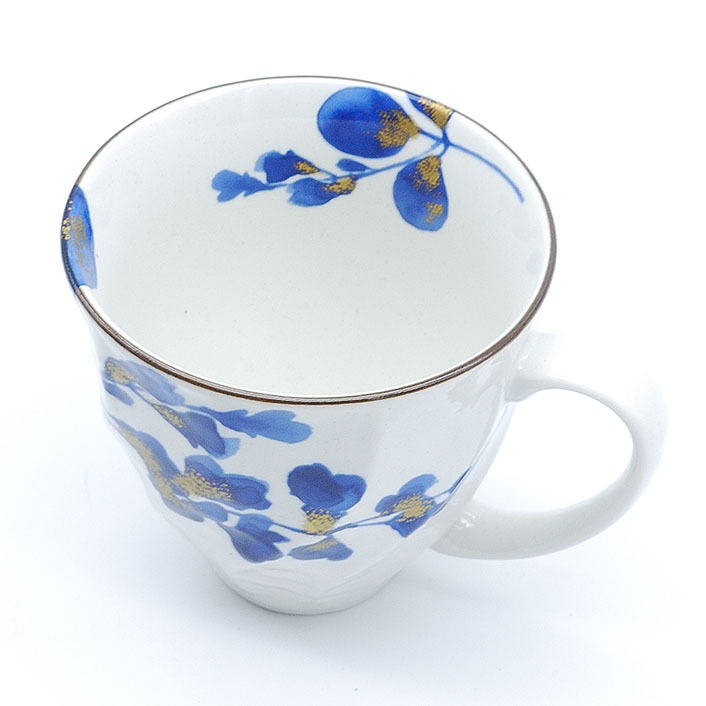 Set of two cups with saucers, made with off-white clay with a smooth finish and beautiful indigo flower print. 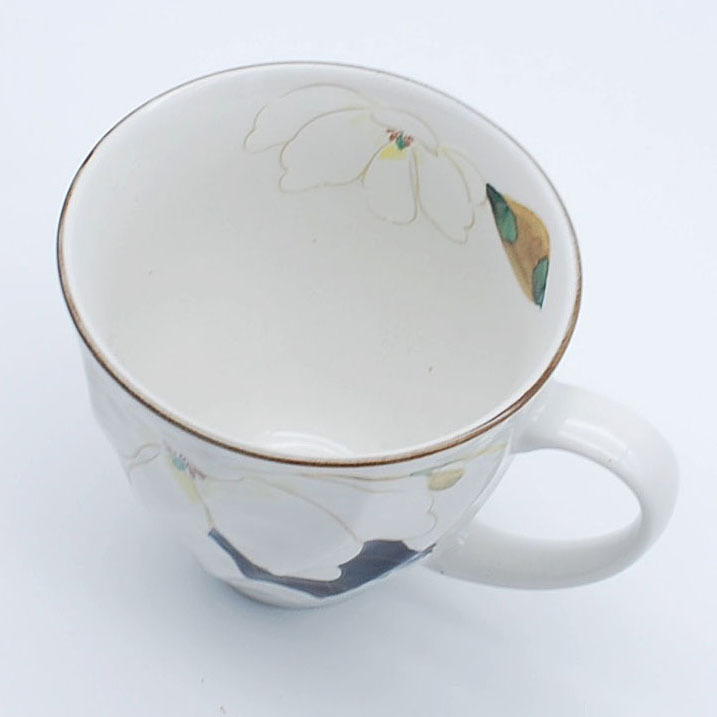 Cups and saucers have irregular edges which gives them a beautifully organic style. 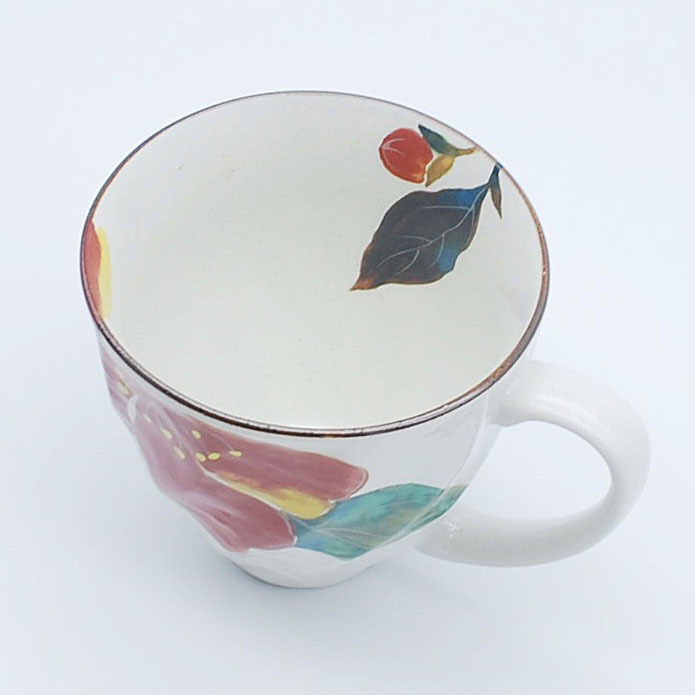 Beautiful mug made with off-white clay with a smooth finish and red sasanqua print. 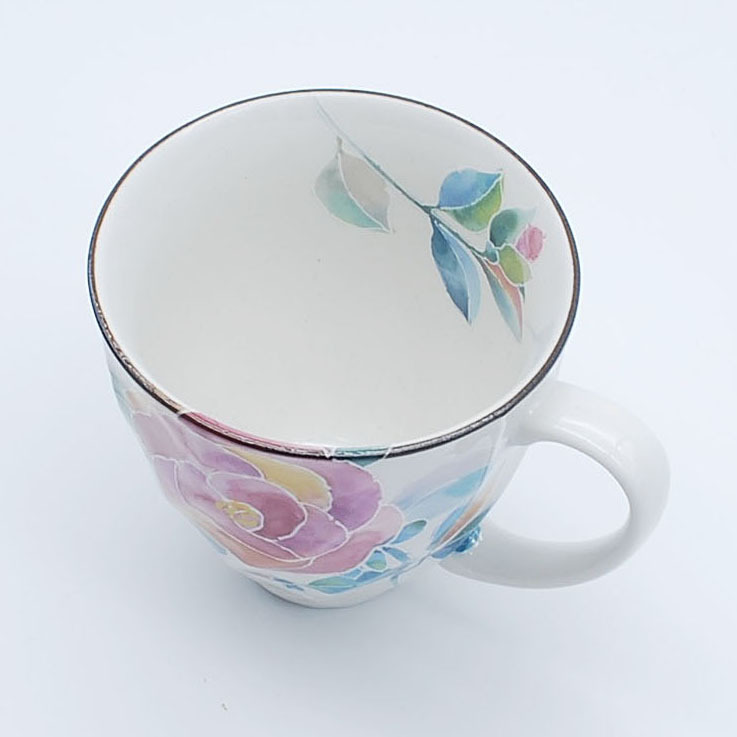 The outside of the mug has a twisted design which provides an interesting feel. 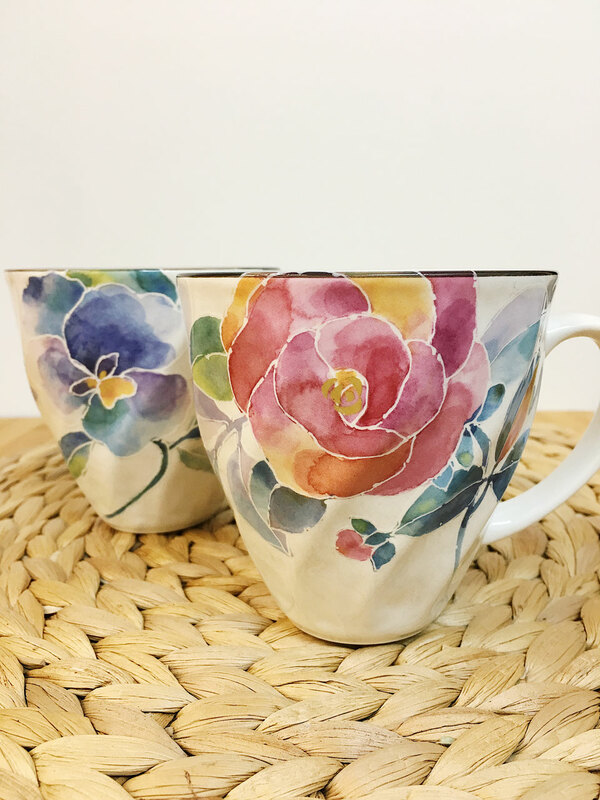 The outside of this stunning mug has a dark brown/silvery colour, sand-like texture and hand painted two off-white streaks. 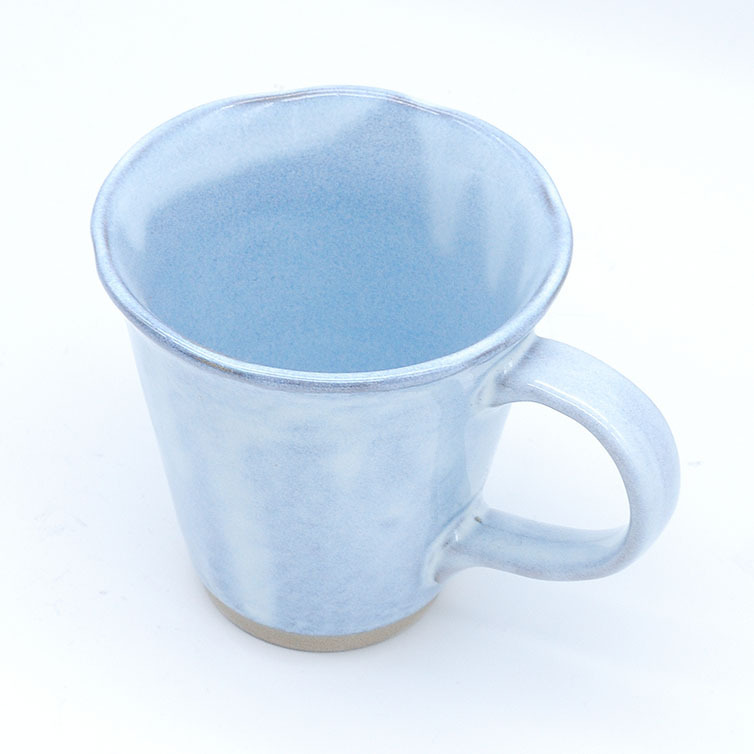 The inside has gloss glaze finish in shades of gray, sand, green and blue. 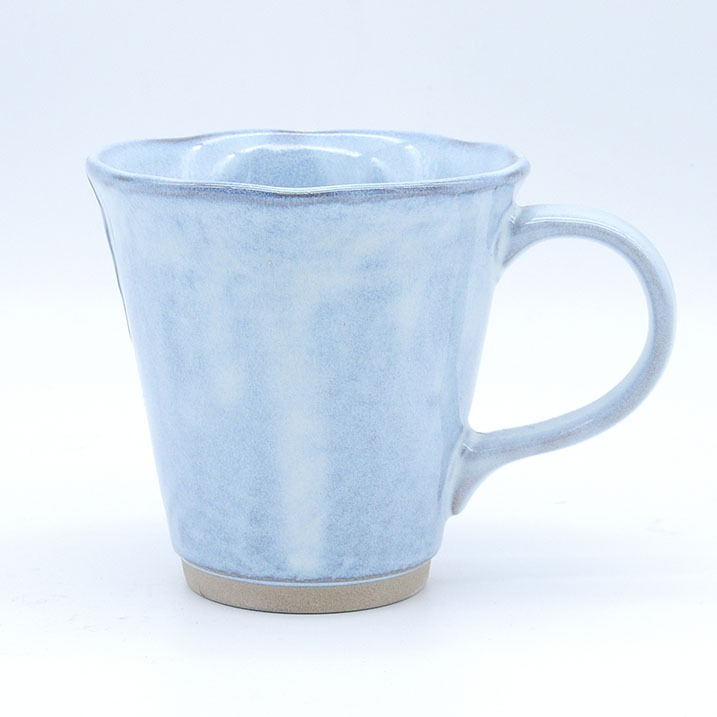 This perfectly round shaped ceramic mug has feet and lots of style: made with beige clay and painted in black, it has a sand-like texture and two interesting beige rectangular details with caramel spirals. 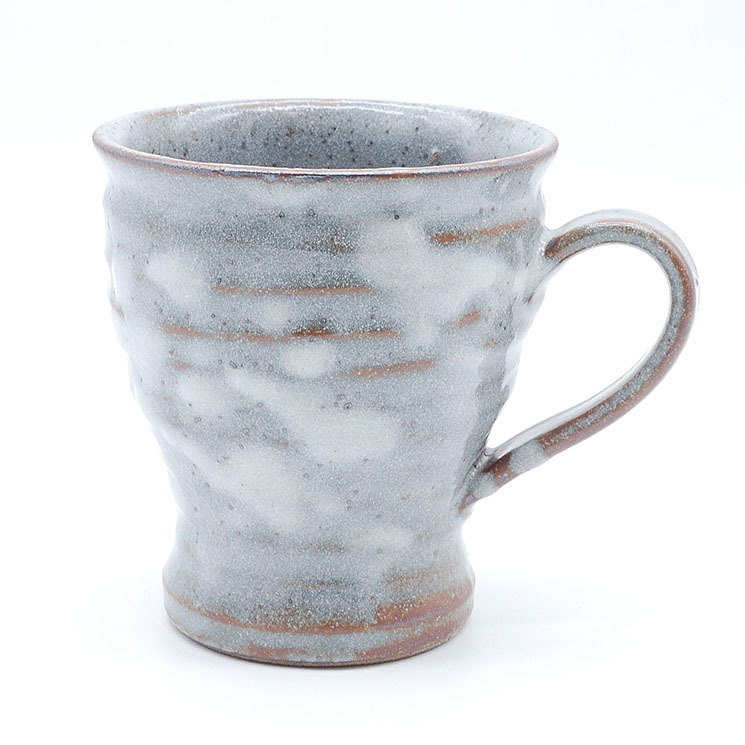 Gorgeous mug made with off-white clay and a granite-like gloss finish. 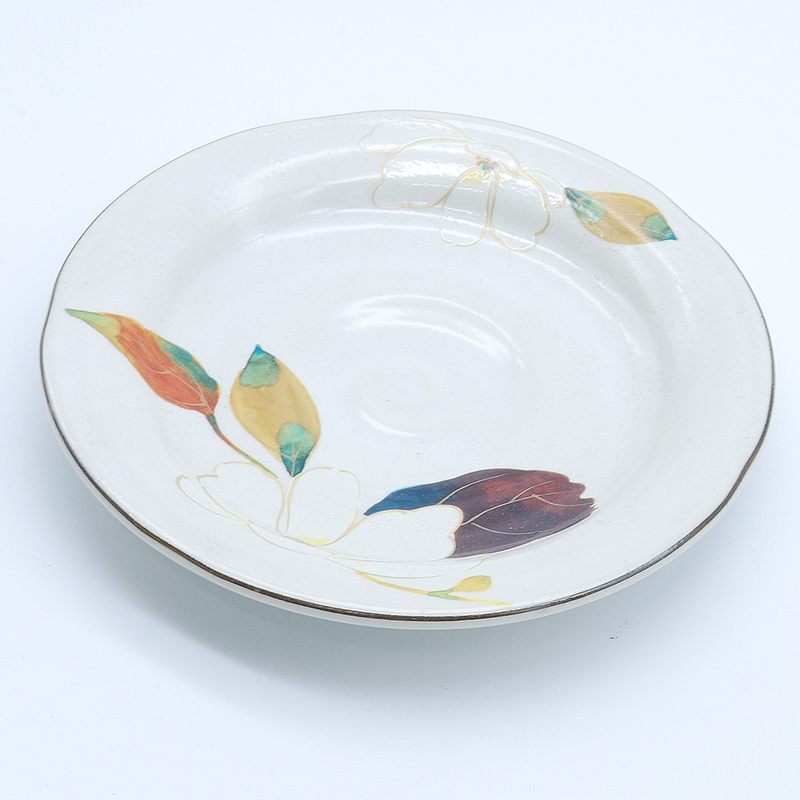 Over an interesting mix of colours (cream and shades of brown), there are brushed details and vertical lines in beige. 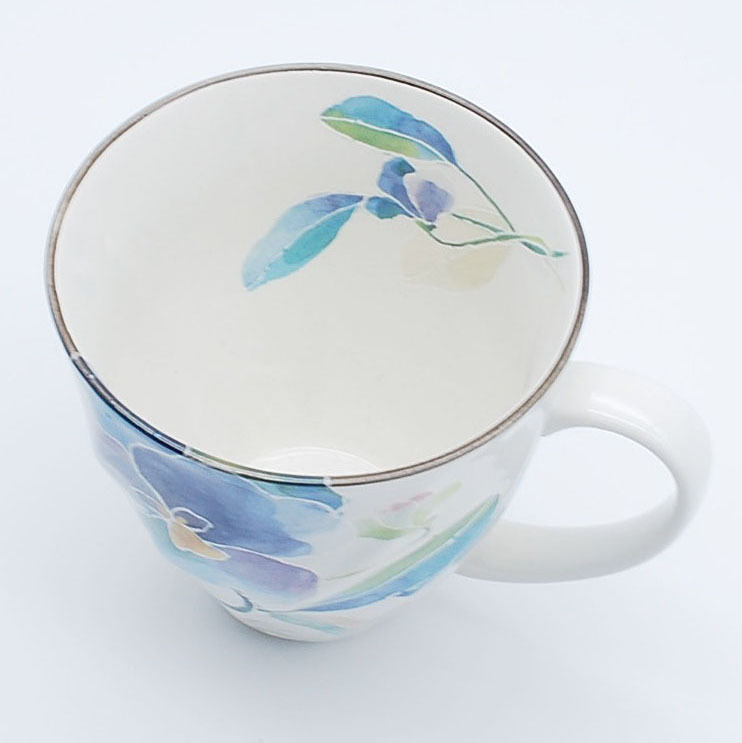 Perfect for a cappuccino or your favourite tea! Sumptuous mug made with off-white clay and a stone-like gloss finish. 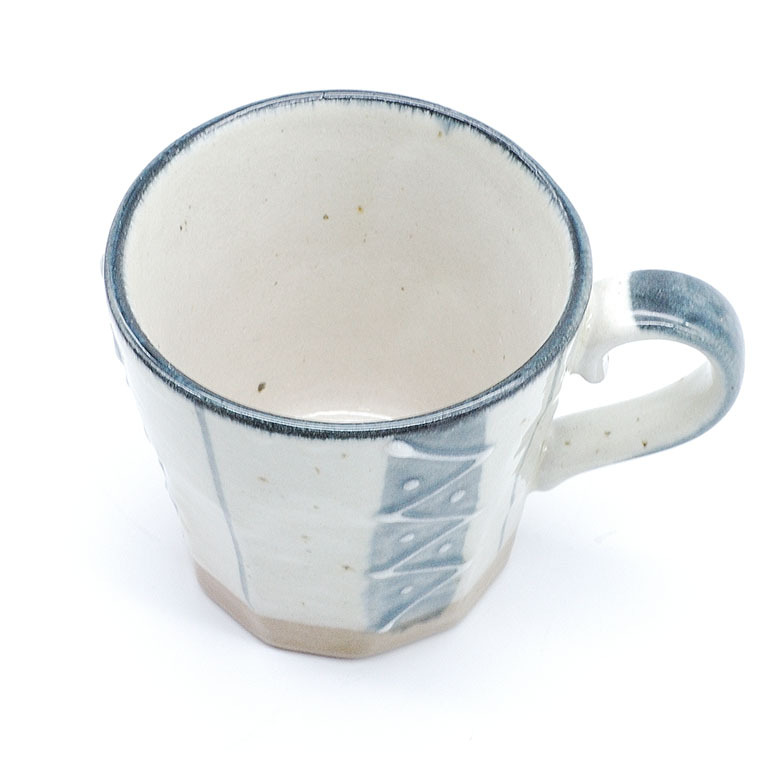 Over an interesting mix of colours (black, blue, light grey and rust), there are brushed details and vertical lines in beige. 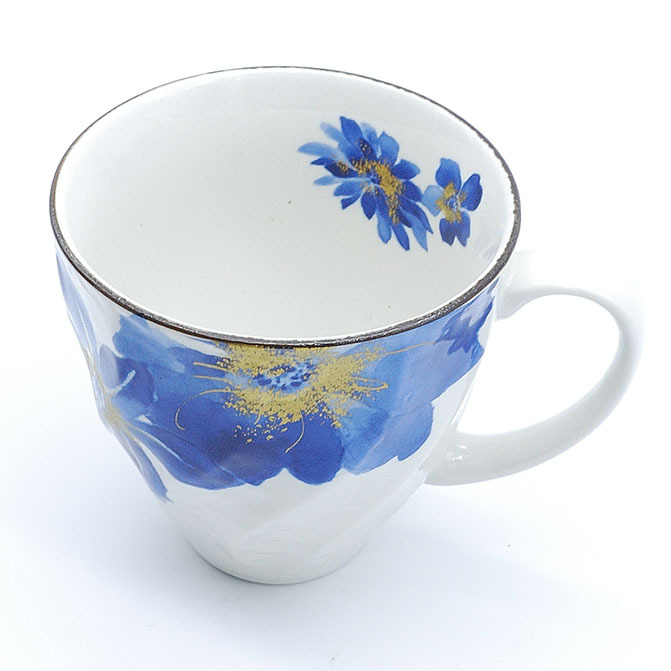 Perfect for a cappuccino or your favourite tea! 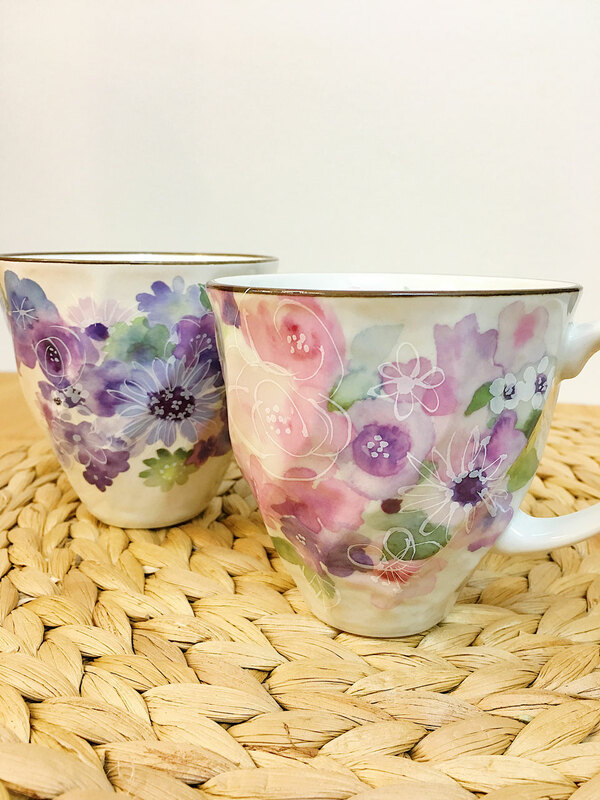 If you are a nostalgic or a lover of the 70s-80s, drinking your tea or coffee in these dodecagonal mugs will bring you back in time with nostalgia. 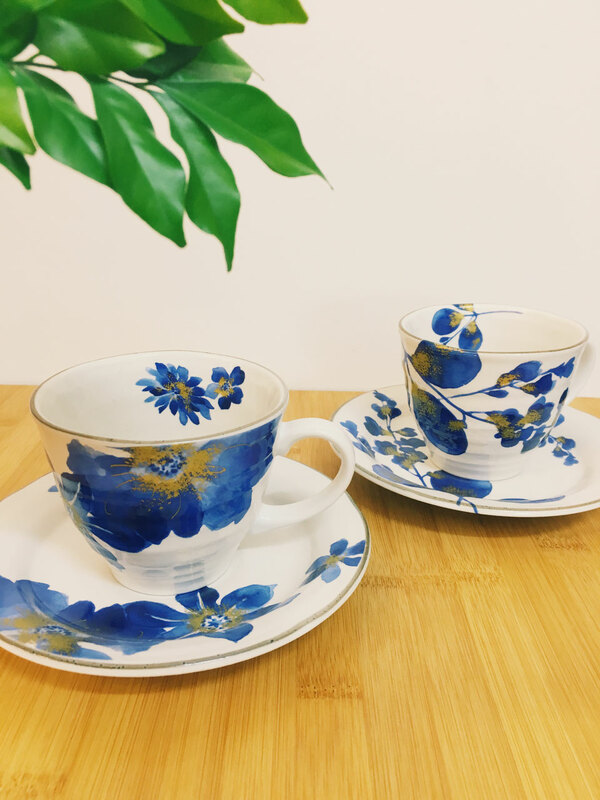 Collect all 4 colors to bring the atmosphere of a retro Japanese "Kissa" (cafe) of the "Showa-era" into your home. 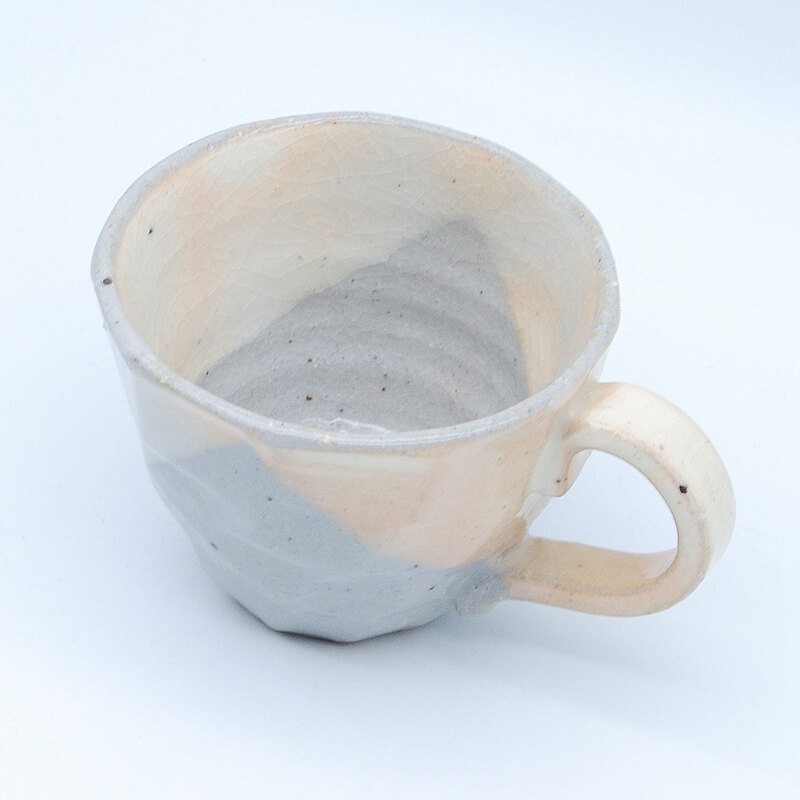 Ceramic cup and saucer with irregular edges. 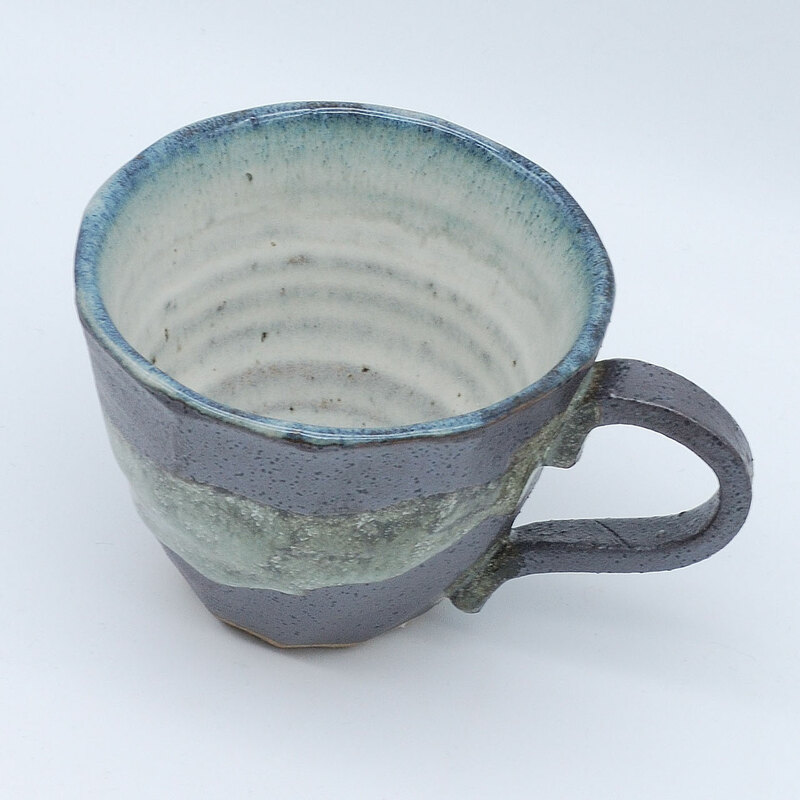 The outside of the cup has a dark brown/silvery colour, sand-like texture and glossy moss green detail. 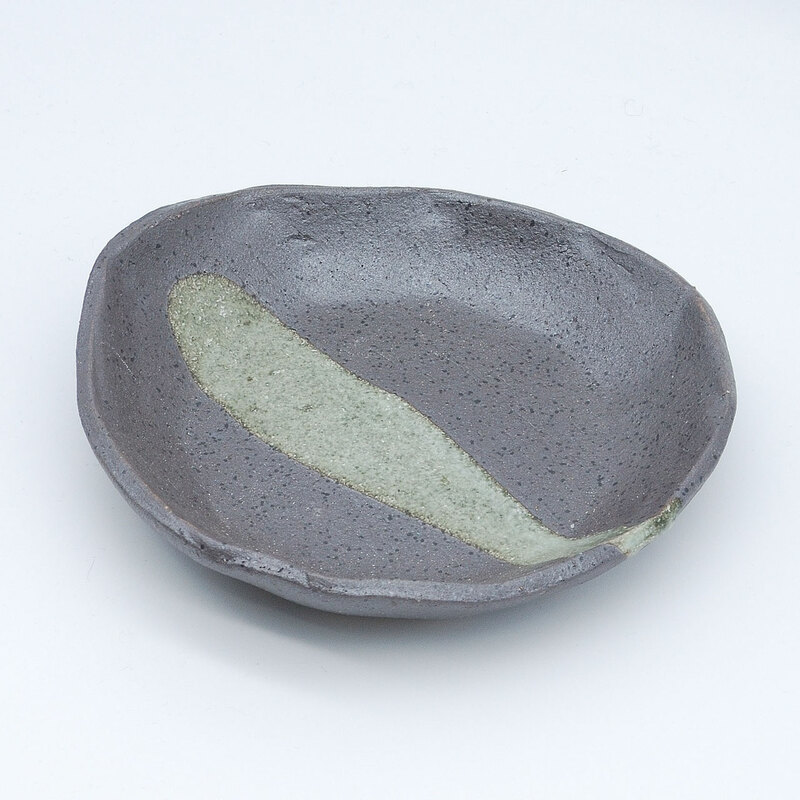 The inside has gloss glaze finish in shades of gray, sand, green and blue. 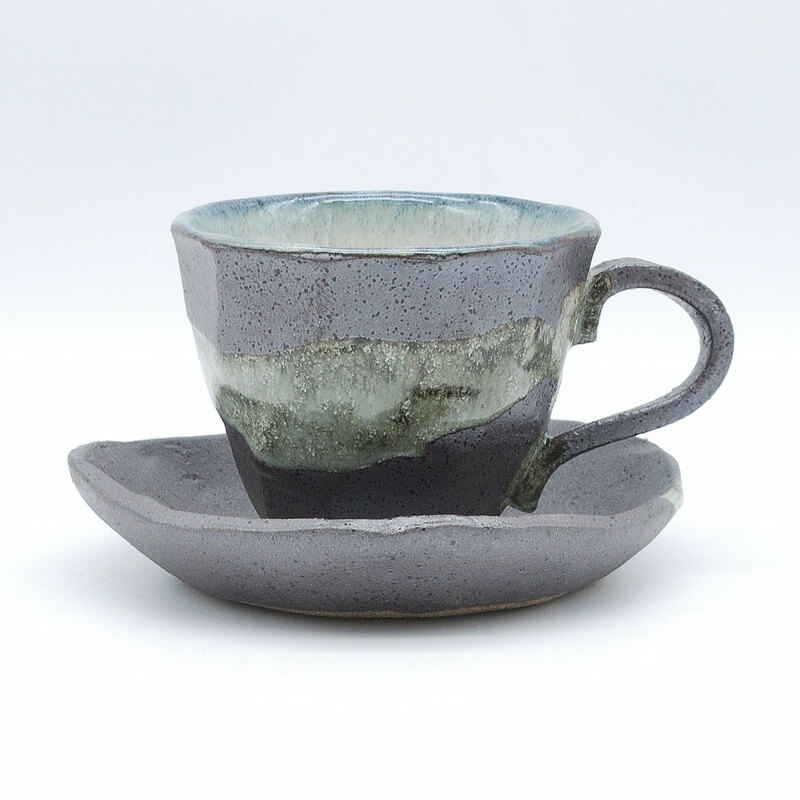 Unique ceramic cup and saucer with irregular edges and gloss glaze finish. 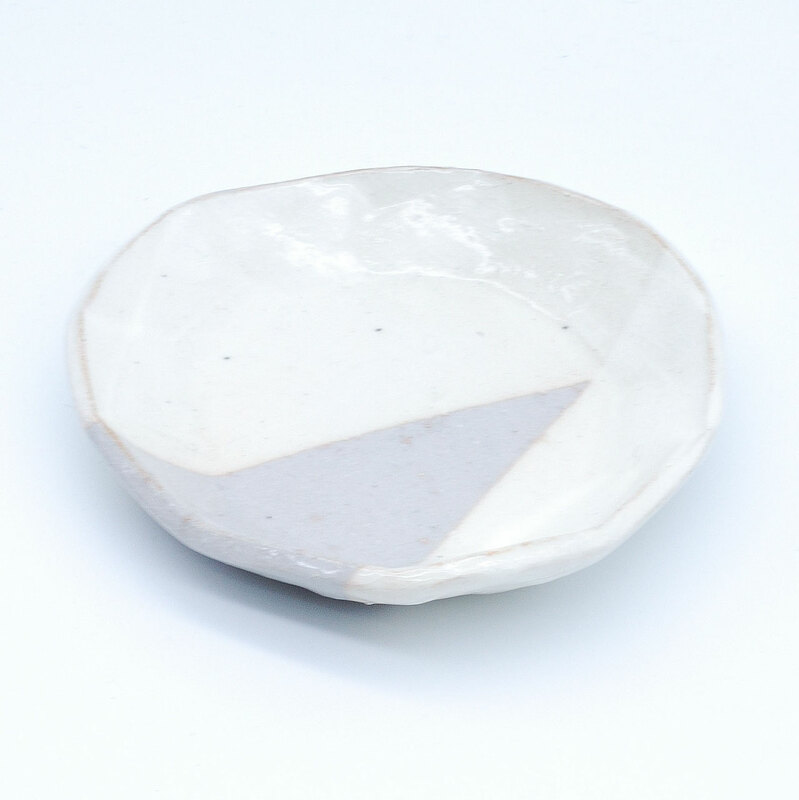 Available in an exquisite combination of off-white, light grey and pink shades. 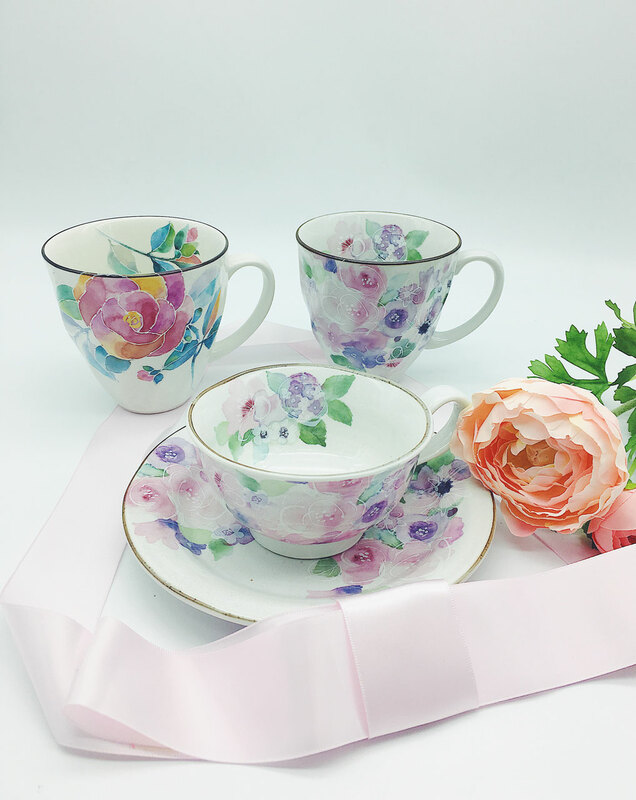 **Please note that the color of products might look slightly different from the photos. 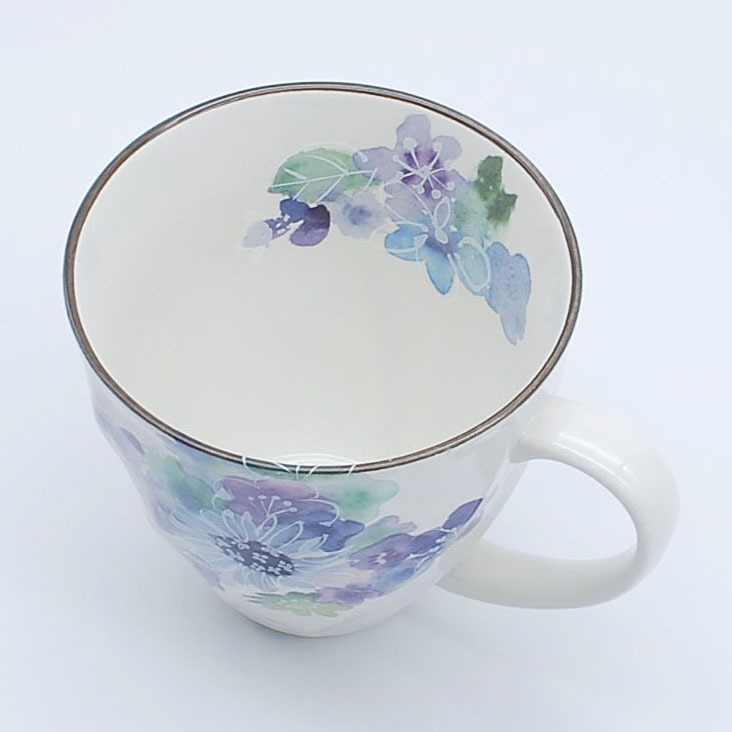 Hand-drawn patterns and glazing are all different slightly.